We went over to my home town to go to my grandson's birthday on Sunday but went a day early under the "guise" of spending some time with the kids. Anyway, I was surprised. The above picture is of a board that one of my daughter in laws made up for me with a hand done card from each of my 16 grandchildren. I absolutely LOVE it. It reflects something about each of my grandchildren. I am so rich. Not in material belongings, not in finances but in blessings from God. The kids did a GREAT job pulling this together. I cried my way thru it! The kids did a CD of pictures of me from past to present and included friends and family along the way......And then they shared some memories and special thoughts that again made me cry. Sometimes, I have felt like I was such a strict parent, and wished I had disciplined differently or just wondered if anything I said or did really made a difference in my children's lives.... well, guess I shouldn't wonder anymore.. I appreciated so much their words of love. All my grandchildren were present and several friends. 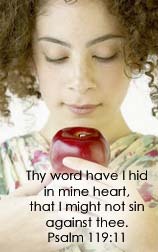 I know that these words cannot begin to touch the warmth, love and fellowship I felt. I am just so thankful to my husband, my children and my grandchildren and friends that came out and made me feel the love. Each truly are a blessing and I give God the glory! It was hearing the LITTLE THINGS that meant something to them that blessed my heart. You see, I think that the little things are important and need to be shared .... it is in the little things that we find many of God's blessings. 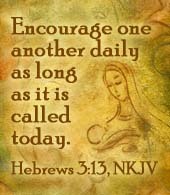 I can't begin to tell you how several of my friends shared that it was some little encouragement that I gave them that blessed them in a big way... wow... sometimes, we just don't know how the smallest, kindest word or encouragement can touch and stay with someone else! I am still in just glowing from my wonderful time.... Thank you, Jesus! I will post pictures later, but right now I just want to bask in the joy these messages and pictures brought from my grands. 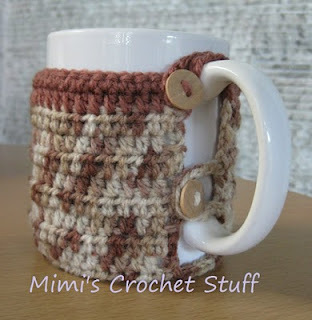 Love this crochet cozy mug tutorial. The picture and tutorial are from Mimi's Crochet Stuff. Click HERE to check it out. 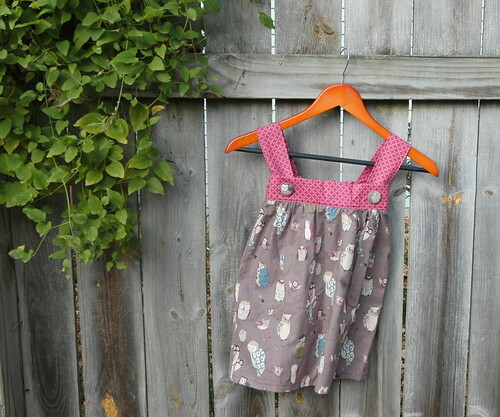 Cute, cute, adorable Little Girls Apron from My Blonde Ambitions blogspot! Click on over there and check this out! 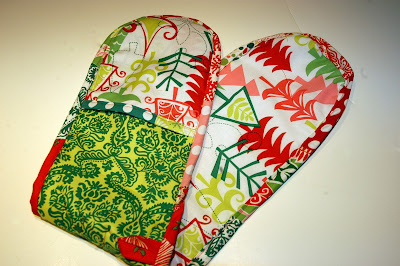 Darling for the "little" homemaker for Christmas! The picture is NOT mine, it is from My Blonde Ambitions! Check out the tutorial at All Things Heart and Home. The picture is hers not mine. I have to make up some of these for the grands. This is so cute! 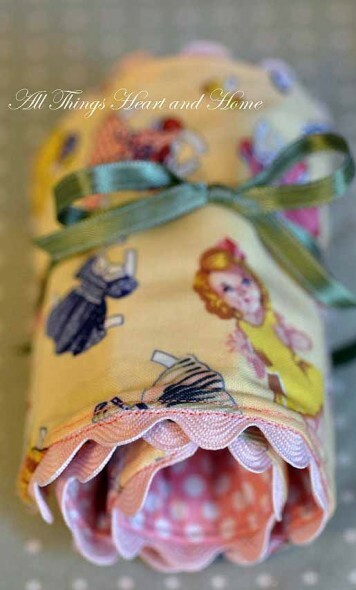 I love these pillowcases shared at Visions of Sugarplums. I am making pillowcases for all of my grands for Christmas so had to share this pattern. Hopefully next week I will have some pictures to share of some of them that I have made.... if I get my rear in gear! Hope on over to Visions of Sugar plums and check out her tutorial! Picture is not mine it is Visions of Sugar plums. I think this is something my granddaugthers would REALLY love! How cute is this? And is also shares their faith! 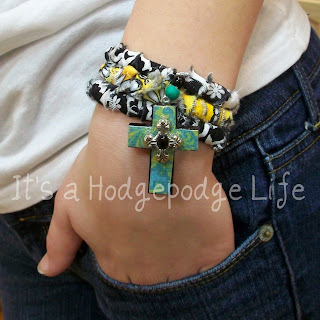 The tutorial is at Hodgepodge Life. Also, the picture is hers and not mine. Please go and check it out! Fun craft! 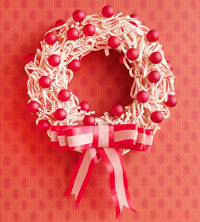 Use an iconic Christmas favorite in a new way -- decorate a wreath with pretty red- and-white candy canes. 1. Wrap the wreath form with white satin ribbon. 2. Layer candy canes randomly, hot-gluing them into place. 3. Hot-glue ornaments on top of the candy canes. 4. Fashion a bow from three lengths of red ribbon shaped into progressively smaller loops; hot-glue the overlapping ends of each loop together. Wrap a length of the red-and-white striped ribbon around each loop; hot-glue the overlapping ends of the red-and-white striped ribbon loops together. 5. Stack the ribbon loops, and staple them together in the center. Wrap another piece of red ribbon around all three; hot-glue the overlapping ends together. Repeat with a length of red-and-white striped ribbon. 6. Cut two more lengths of the red ribbon and two more of the red-and-white striped ribbon. Lay a striped ribbon over each red ribbon and hot-glue to the back of the looped ribbons. 7. Adhere the entire bow to the bottom of the wreath with hot glue. Picture and directions are from BETTER Homes and Gardens. This is awesome. On Saturday, October 30, 2010, the Opera Company of Philadelphia brought together over 650 choristers from 28 participating organizations to perform one of the Knight Foundation's "Random Acts of Culture" at Macy's in Center City Philadelphia. Accompanied by the Wanamaker Organ - the world's largest pipe organ - the OCP Chorus and throngs of singers from the community infiltrated the store as shoppers, and burst into a pop-up rendition of the Hallelujah Chorus from Handel's "Messiah" at 12 noon, to the delight of surprised shoppers. This event is one of 1,000 "Random Acts of Culture" to be funded by the John S. and James L. Knight Foundation over the next three years. Gives me goosebumps... oh to have been in this crowd! This is the pumpkin hat from the top. Fits a baby. Freedom isn't free. Thank you to every man and woman who has served this country! May you never be forgotten. May the price paid never be forgotten. May God continue to bless this country. May we come back to our grass roots of America. These are ADORABLE! And how easy and quick these would make up... Great package adornment, ornaments or just a sweet "nothing" tucked into a card with a word of encouragement and/or love! The picture is not mine it is from the Crafty This and That. Please check out this blog and the directions. Crafty This and That. I call these country angels. They are quick and easy to make. It only takes a 3 1/2 inch circle of cotton cloth, strands of cotton yarn, a short piece of ribbon, wire for the halo, a pin for the back and a good glue such as E-6000. First I formed my wire into a small circle about an inch in diameter. I folded the 3 1/2 inch circle of cloth in half to form the wings. I then added a little dot of glue in the middle of the half circle to hold the 2 sides together. For the head and body, I cut as many strands of cotton yarn that is needed to make it look nice. It really depends on what thickess of yarn I am using and how full I want it to look. I cut about 18 strands to about 6 inches long for this one. After they were cut and gathered together nicely so the ends are about even, I carefully thread one end of the strands of yarn through a wire circle, and fold the yarn over the part of the wire where the wire is fastened together, checking to make sure it is folded in the middle and both ends of the yarn are brought together so that all the ends are about the same length. If some are a little off, they can be trimmed or left as they are. Next, I carefully tied the ribbon around the neck to form the head and body. The body was glued to the cloth circle that was folded in half and a pin glued to the back. Let the glue dry thoroughly. How cute is this!!! Pic is by The Boy Trifecta! Please click the link below to check out this one yard wonder! I bet I know a granddaughter or two that would enjoy this! Darling! The Boy Trifecta: One Yard Wonders All Ages Classic Jumper - Patter...: "As part of my handmade holiday gift for my friend's daughter Mya, I made the All Ages Classic Jumper by Amanda Sasikirana from the One-Yard ..."
The Boy Trifecta: Double Potholder Tutorial: "I've finished my first handmade holiday gift! I finished it earlier in the week, but I spent my whole week painting and never got around to ..."